In January, Rizzoli Books announced that it would be closing its store on West 57th Street. By the time April rolled around the closure felt sudden. On April 11th, 2014, approved the final day, the store was packed with people, significantly busier and louder than usual. It was filled with curiosity seekers and discount scavengers looking for a bargain, while long-time customers and well-wishers meandered through the space one last time. The building that has housed Rizzoli Books for the last twenty-nine years is one of four adjacent buildings on W. 57th Street that will be demolished for a new development by Le Frak and Vornado Management. Mid-town high-rise construction is booming and the location is prime mid-town real estate. The new building will be an ultra tall luxury condo with views of Central Park. Its new occupants, the global super-rich, will likely be using their new homes as pied-de-terres. 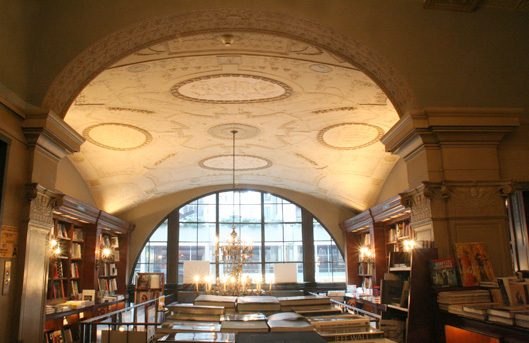 Rizzoli Books featured three floors of books on art, architecture, design, fashion, and music. There was also an impressive selection of foreign language books and children’s books on the top floor. The draw of a 40% off sale accounted for the large crowd that circled the shelves and tables like vultures, browsing furiously. The discount was very appealing because many of Rizzoli’s books were expensive coffee table catalogs and artist monographs. But despite the chaos of a sale, there was also an atmosphere of sadness throughout the store. 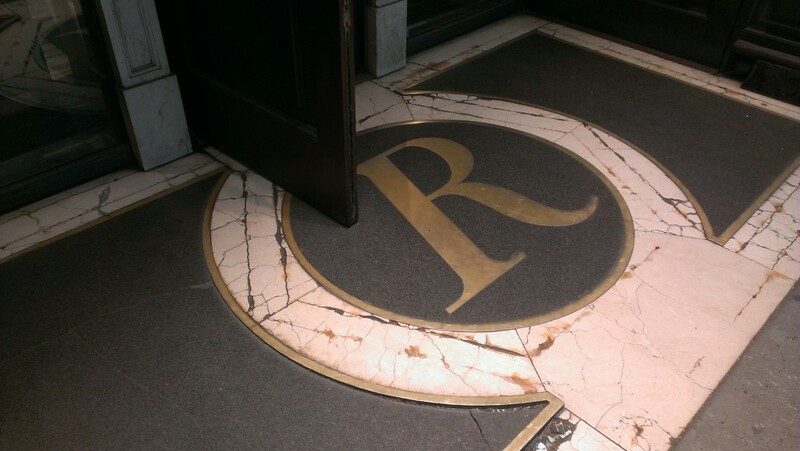 Many of Rizzoli’s employees were already gone and the remaining few were facing an uncertain future. And yet they busied themselves with helping customers, answering questions, and shelving books. Some had already started packing the remaining inventory while customers were still digging through the books. A long-time worker briefly gave a customer a rundown about the search for a new space and then shared a moment about what gets lost when old is replaced by new. “Take it all in for one last time” she said as she trudged off with a stack of books. All the conversations in the store were tinged with this mix of nostalgia and melancholy—an end of an era. A lot of people were buying books, but one can only suspect it was both a mixture of pity and the 40% discount. Others were furtively taking photos of the architecture. Rizzoli’s owners are closing down their brick and mortar location, however they are not leaving the publishing industry. As Samuel Cooper points out there is a large gap between the book store and its parent company. Rumors are that there is a team looking for a new space further downtown, supposedly in Flatiron. But one would realistically expect a liquidation of stock online and a much lighter physical presence moving forward. With retail rents what they are, reopening a bookstore of this type is a big task even with resources. Relocating a bookstore can sometimes result in its slow death. It made me think of Cody’s and Black Oak Books in Berkeley. However, Rizzoli Books has faced this situation before, arriving on 57th Street only after losing the lease on an even older and grander building on Fifth Avenue. At least the last time the building facade was saved. When the news of the eviction became public, preservationists and friends of the bookstore made a last-ditch effort to save the store. They gathered 16,000 signatures in an online petition and staged a rally in front of the bookstore, but the landmarks commission was uninterested. This location was too prime and too many machines were already in motion for its demolition. Rizzoli Books was one of the last grand bookstores in New York. Its interior contained multiple chandeliers and an elaborate molded plaster ceiling dating back to the turn of the century. Dark wood shelves lined the walls and gold painted ornaments could be found in corners and above many of the shelves. The largest of the chandeliers floated down above the entryway and was wrapped by a balcony that created a mezzanine that overlooked the entryway. Rizzoli had been remodeled in 1985 with changes the layout of the shelving, brightening up the entryway, and restoring some of the ceiling work. Ironically, this remodel removed the historic significance of the building’s interior. This was a claim made by the Landmarks Commission when people were fighting to protect the building. How can an interior be protected without protecting the whole building? Rizzoli is of course not the first nor the last of great bookstores chased out of Manhattan by the pressure of real estate. Shakespeare and Company on Broadway and St. Marks Books are both slated for moves or closures very soon. Bookstore closings are one of those significant moments, an indicator that something profound has shifted. If and when Rizzoli reopens at a new location, a part of New York is already gone. There is something that feels strange about lamenting a fancy bookstore and its unattainable goods, but like all bookstores there is a community surrounding it and what is lost is more than just a place to buy books.